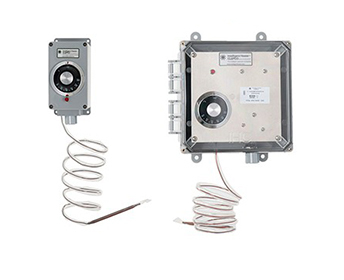 Dual digital readout in a clear cover NEMA 4X style gasketed corrosion resistant enclosure. Fahrenheit or Celsius temperature scale. Accuracy to 0.5°F. 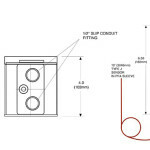 Includes type J thermocouple 10 foot in length with PFA Teflon® sleeving. • Digital – Based auto-tuning control. 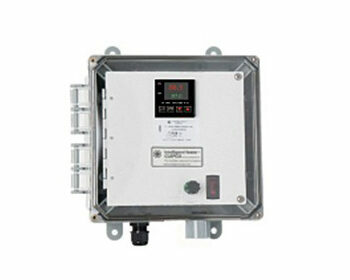 • Dual digital display readout display. 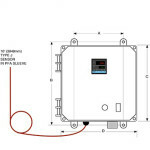 • Clear cover corrosion gasketed NEMA 4X style enclosure. 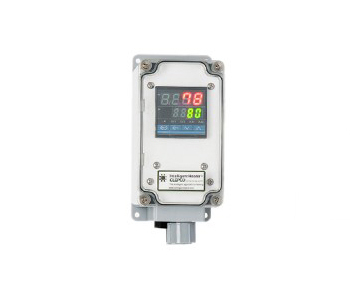 • Dual digital display readout display indicating Present and Set Value. • Fahrenheit or Celsius temperature scales. • Display: two four digit Led’s PV: Red and SV: Green. 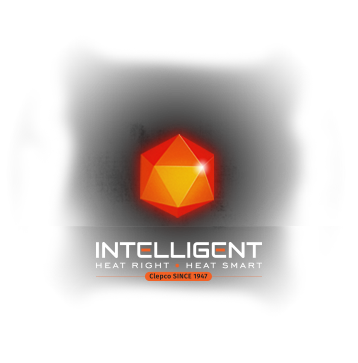 • Non volatile memory (will not lose memory from power failure). • “J” Type thermoucouple sensor is 10 foot (3 meter) jacketed in PFA Teflon® ultimate chemical protection. • Agency Approvals: Digital module is CE. Consult factory for up to date Safety Agency Certifications.